Ozone Barter has changed its name to Barter Vista. The company is focused in Singapore and the Asian region. For more information see www.bartervista.com. Half of all new college graduates now believe that self-employment is more secure than a full-time job. And with 80% of the U.S. colleges and universities now offering courses on entrepreneurship, 60% of Generation Y business owners consider themselves to be serial entrepreneurs, according to Inc. magazine. Eighteen to twenty-four-year-olds are starting companies at a faster rate than 35 to 44-year-olds. And 70% of today�s high-schoolers intend to start their own companies, according to a Gallup poll. As the global community struggles with finding enough natural resources for today�s population of 6.7 billion people (we hit the 6 billion number in 1999), in a few short years we will hit 7 billion. The first billion was reached in 1800, and it took 130 years to reach 2 billion. The U.S., presently with 304 million, is the third largest nation after China and India according to the Census Bureau. Fast-growing private aviation company XOJet, started back in 2006 and backed by buyout firm TPG, is expanding with new secured financing of $2.5 billion. XO schedules about 1,000 flights per month. NetJets, owned by Berkshire Hathaway, is the largest player in the private-aviation industry. With some 750 aircraft, they log over 1,000 flights per day. BN was talking with David Wallach recently and our conversation veered to the term reciprocal trade. Wallach says our industry has never properly identified itself, and he offers the following content to better describe our industry's services. Ancient barter was man�s first form of commerce and consisted of the one-to-one direct exchange of goods and services. Advances in technology have greatly expanded and enhanced the scope of barter far beyond this limited one-to-one model. In 2007, International Reciprocal Trade Association (IRTA) member companies using the �Modern Trade and Barter� process, made it possible for over 400,000 companies worldwide to utilize their excess business capacities and underperforming assets, to earn an estimated $10 billion dollars in previously lost and wasted revenues. In terms of income, excess business capacity represents the difference between actual cash revenues received, and the cash revenues and profits that would be realized, if a business operated at 100% of its capacity. Most businesses are operating at less than 100% of their potential business capacity. IRTA member companies can help your business realize lost revenues and make additional profits by making use of your excess business capacity. Consult the worldwide membership directory listing on this web site or an IRTA member company located in your geographical area. 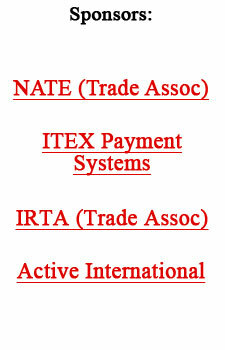 Businesses that choose to participate in modern trade and barter will become a client of an IRTA member company. As clients when they sell their goods and services to other clients in the system they earn trade credits which are deposited into their accounts. They then have the ability to purchase goods and services from other member clients utilizing trade credit in their accounts. IRTA member companies play a vital role as they provide organization, system management, record keeping, maintenance of transaction record and broker services to each member client. All IRTA members companies adhere to a strict IRTA Code of Ethics. Businesses that utilize modern trade and barter can be assured that their trade credits are earned and spent within a network that is committed to a high standard of business by meeting requirements that prove the strength and sustainability of their exchange networks. It is important to note that there are other forms of modern trade and barter. Some of these include complementary (or local) currency organizations, LETS (Local Exchange Trading Systems) and many other forms of alternative monetary systems to help local and regional economies. International Monetary Systems (OTCBB:INLM), a worldwide leader in business-to-business barter services, reported that all issues requiring a vote at the company�s annual shareholder meeting were overwhelmingly approved by an affirmative vote of 99.7%. Directors Wayne Emmer, Wayne Dalin, and Donald Mardak were reelected to three-year terms and Webb & Company was ratified as auditors for the company�s 2008 financial statements. Emmer is the president of Illinois Cement Co., Dalin is a CPA and former partner in the accounting firm of Dalin, Lindseth & Co., and Mardak is the president and CEO of IMS. CFO Danny Weibling and other board members reviewed IMS� financial results for the past year and outlined their vision and plans for the future. In addition, members from IMS� management, sales, brokering, marketing, and IT departments provided a �Team and Tools� presentation covering the progress and projections of these critical national operations. The presentation included a showcase of newly released projects including various features to the web site, the new online marketplace, and their proprietary barter commerce management clearing system: TNT, the Trade Network Tracking System. For more information go to www.ims.com. Ron Whitney, IRTA executive director, announced that the first annual Video Awards will be held at the Westgate River Ranch near Orlando (FL) on September 22 thru 25 2008, during the 29th IRTA Annual Convention and Conference. Videos entered in the competition will be viewed by all attendees during conference prime-time and judged for important production values, such as clarity of message, organization, creativity and effectiveness. The winners of the competition will receive their awards at the concluding ceremony of the conference; their videos will be featured prominently on the IRTA web site. input from a wide variety of companies and individuals with an unsurpassed collective industry experience. For further information and an IRTA Video Award entry form please contact Ron Whitney at ron@irta.com or (757) 393-2292.